Led by Juna Kollmeier, Andrew Benson , and Anthony Piro, the program in theoretical astrophysics at the Carnegie Observatories carries out world-class research with an emphasis on making connections to work done at our state-of-the-art observational facilities. A wide range of areas in astrophysics are studied, including formation and evolution of stars, galaxies, black holes, cosmology, explosive transients, and electromagnetic counterparts to gravitational waves. Applications are now being accepted for the Carnegie Postdoctoral Fellowship in Theoretical Astrophysics. This prize fellowship is intended to provide the resources and freedom to conduct long-term research in theoretical astrophysics. Fellows are expected to lead an independent program of investigation which complements and enhances both the theoretical and observational activities of the observatory. Juna Kollmeier is as observationally-oriented theorist making predictions that can be compared to current and future observations. Her primary focus is on the emergence of structure in the universe. She combines cosmological hydrodynamic simulations and analytic theory to figure out how the tiny fluctuations in density that were present when the universe was only 300 thousand years old, become the galaxies and black holes that we see now, after 14 billion years of cosmic evolution. 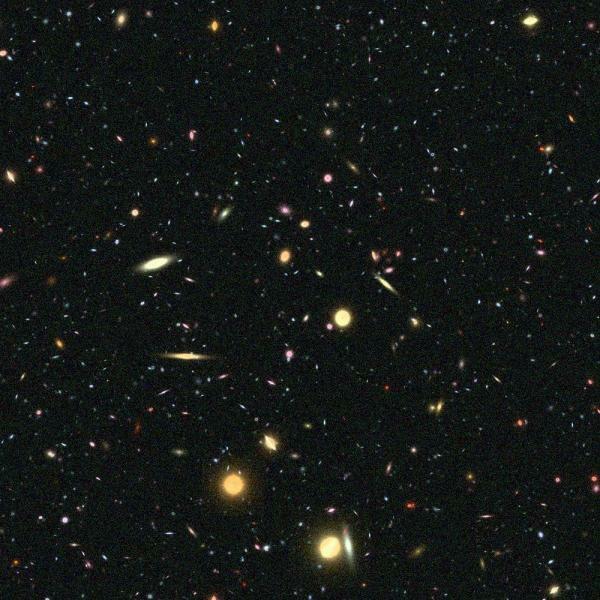 Andrew Benson leads a program focused on modeling the formation and evolution of galaxies. 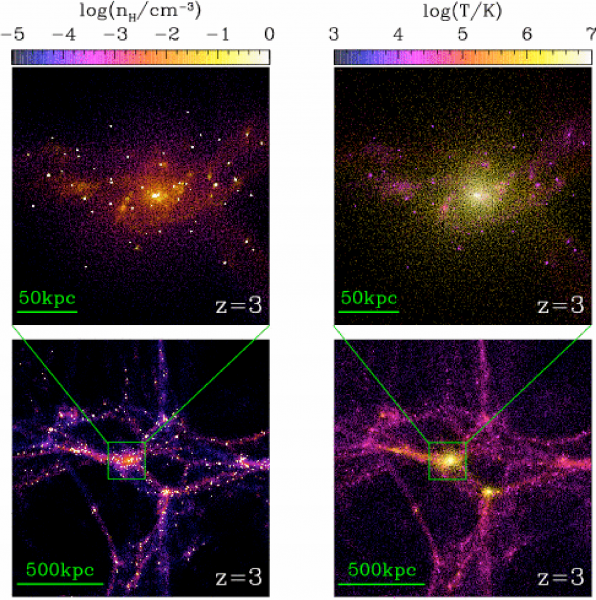 The primary aim of this research is to develop a detailed and, most importantly, quantitative model of galaxy formation based upon known physical laws rather than empirical rules. Our empirical knowledge of galaxy formation is rapidly becoming quantitatively precise, and so has the potential to strongly discriminate between theoretical ideas regarding the formation and evolution of galaxies. Unfortunately, the required confrontation of theory with observations cannot occur at present as our ability to analytically model galaxy formation is currently restricted to making predictions accurate only to within "factors of a few." Progress can only be made therefore by developing a model of galaxy formation which incorporates the relevant physics in detail and which strives to solve that physics to high accuracy. These require the use of state-of-the-art models of galaxy formation, both N-body and phenomenological (a.k.a. "semi-analytical"). With these goals in mind, over the past five years he has developed a novel, open source semi-analytic model of galaxy formation, Galacticus, which represents a new and unique approach to the problem. This work is coupled to careful Bayesian modeling of observations to determine how current and future data will inform and test our theory of galaxy formation. Galacticus, is now arguably the most advanced and detailed analytic model of galaxy formation available. Anthony Piro has interest in a broad range of topics involving compact objects, astrophysical explosions, accretion flows, and stellar dynamics. His work brings together expertise in nuclear physics, thermodynamics, condensed matter physics, General Relativity, and fluid and magnetohydrodynamics. Using a combination of analytic and simple numerical models, he works to understand the key underlying physical mechanisms responsible for what we observe as well as predict new observational phenomena. Most recently, his work has focused on the light curves of explosive transients and how we can use these observations to understand the underlying progenitors. This has been utilized to measure the masses, radii, and dense circumstellar material associated with these exploding stars. In other cases, he has predicted new types of transients to guide future survey strategies, such as those associated with black hole formation or gravitational wave counterparts. Computational astrophysics at Carnegie benefits from a new, dedicated 92-node cluster, MIES. Each node has 16-core Intel Xeon 2.40GHz CPUs, 64GB RAM per node, fast Infiniband connections, and 330TB of disk space via NFS drive. Observatories scientists also have access to a shared 162-node cluster, MEMEX, of which 40 nodes are dedicated for Observatories use, with 24-core Intel Xeon 2.50Gz CPUs, 128GB RAM per node, and 700 TB of total storage. In addition to these facilities, computational astrophysicists at Carnegie have access to national resources such as XSEDE.